W/F/F/A is formed by the three professionals Marko Fischer (tax consultant), Claudia Fechner (tax consultant), Gabor Almasi (lawyer) as well as cooperation partner Achim Weber (Certified Public Accountant). Based in Dresden, Germany, the firm’s consulting focus is on international tax and corporate law, questions of corporate succession and corporate structuring. WFFA supplements Enovado’s market entry offerings in projects where additional tax and legal expertise is required for international clients targeting the German market. The International University of Applied Sciences Bad Honnef · Bonn (IUBH) is a private, state-recognised university of business and management. With various European campuses, it offers the about 14.000 students master’s and MBA programmes in such fields as international management, aviation and transport & logistics. IUBH is Enovado’s knowledge partner. With one of the business school’s professors in our team, we analyze the latest industrial trends and co-develop FDI strategies for both corporates and economic development agencies. BridgehouseLaw is globally active team of attorneys, tax advisors and other consultants offering clients legal and tax support. Offices are located in Atlanta and Charlotte (USA). In addition, professionals from BridgeAlliance are available in Bogotá, Buenos Aires, Madrid, Istanbul, Lisbon, London, Paris, Vancouver and Riad. BridgehouseLaw is our main partner for market entry projects in the US that include specific legal and tax questions, and such go beyond Enovado’s market assessment and location expertise. 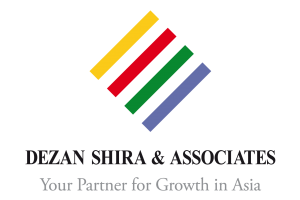 Dezan Shira & Associates is a pan-Asia, multi-disciplinary professional services firm, providing legal, tax and operational advisory to international corporate investors. Originally incorporated in Hong Kong in 1992, and now operational throughout China, ASEAN and India, the firm has grown to support 28 offices and over 300 staff. Dezan Shira is our main partner for market entry projects in Asia that include specific legal and tax questions, and such go beyond Enovado’s market assessment and location expertise.